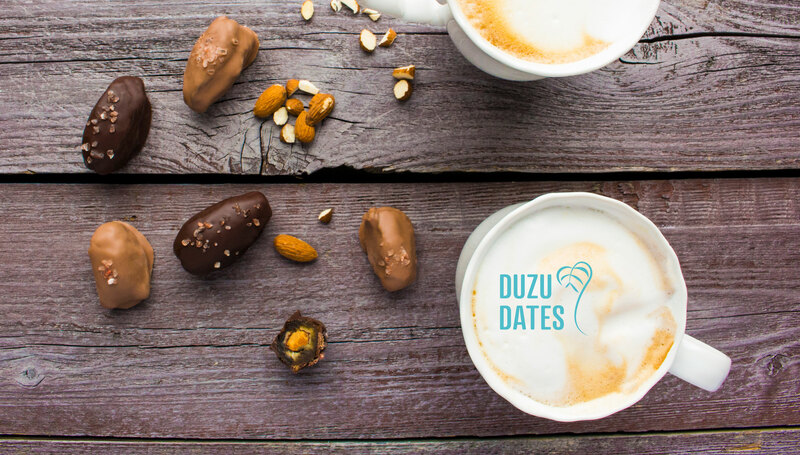 Enjoy a date with pure happiness! 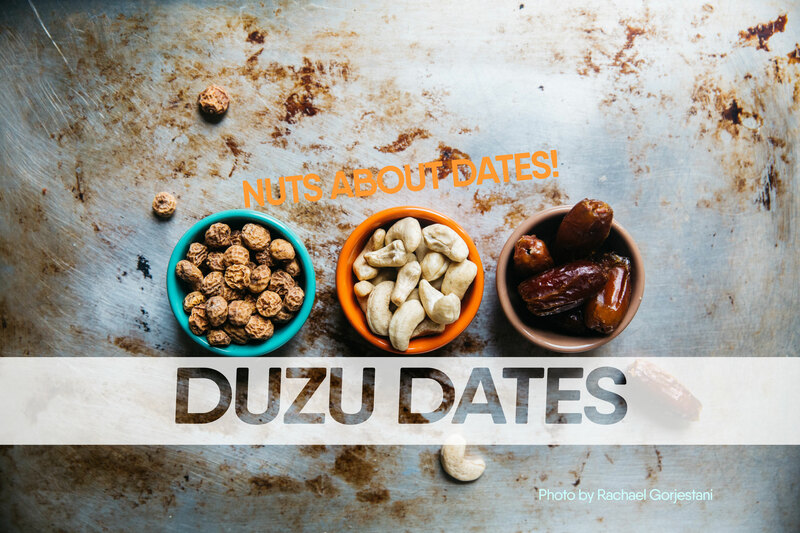 DUZU, God of Food and Vegetation in the ancient Persian land of Akkad, has been curating delectable dates since 3,000 BC. 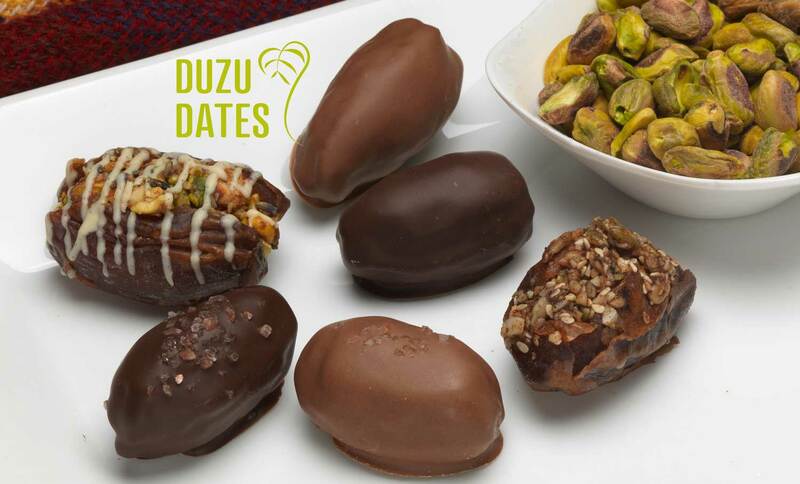 Today, DUZU has taken one of the world’s oldest cultivated foods and turned them into a modern treat. 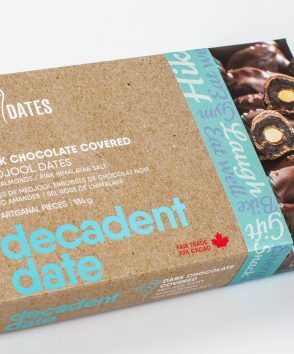 The king of dates – Medjools – are infused with perfectly roasted organic almonds; or organic crystallized ginger, then enrobed in Master Chocolat’s (Bernard & Sons) 65% Dark and 46% Milk chocolate. 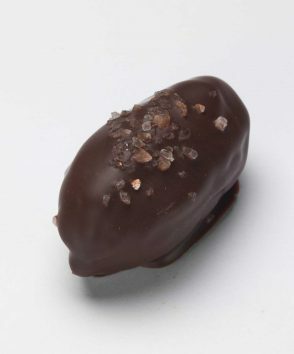 The almond-filled dates are then lightly sprinkled with Pink Himalayan sea salt. 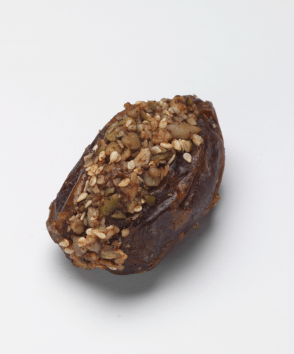 These taste like salted caramel, but the dates are packed with nutrients! We dare you not to become addicted! nutritious by nature. 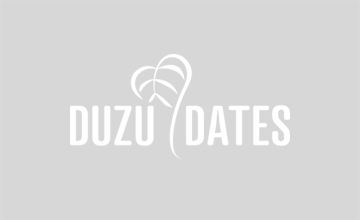 delicious by DUZU. 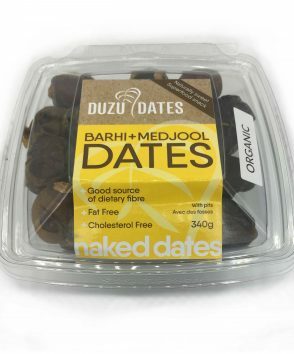 Organic Barhi (sweet like caramels - truly Nature's Candy) Organic Medjool (these are the King of dates; larger, sweet and rich tasting) 340 g We call these "Naked" since we haven't dressed them up in chocolate! ALL your favourites! 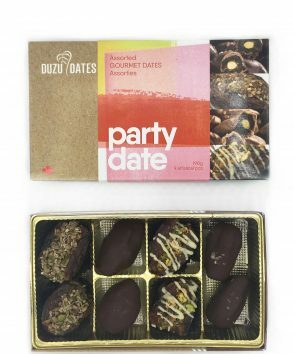 These dates are all dressed up and ready to party! 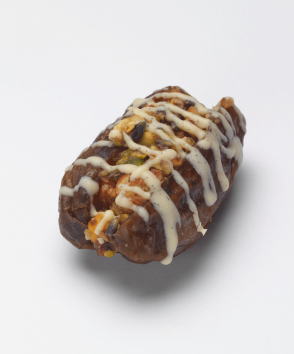 Medjool dates are the royalty of dates! 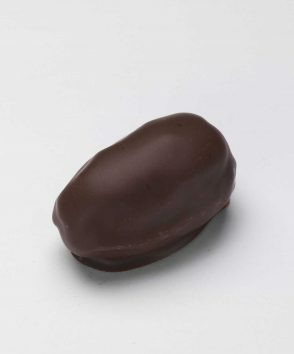 Each date is carefully pitted by hand, then infused with a roasted almond. 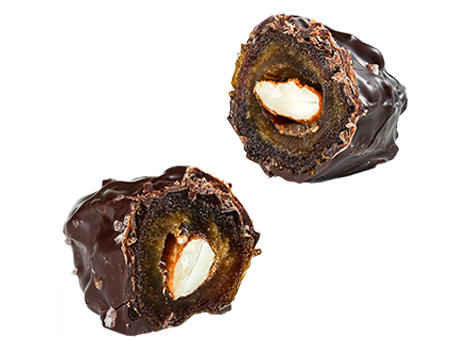 Master Chocolat’s Bernard Callebaut then dips each date in creamy 46% milk couverture before lightly sprinkling with pink Himalayan salt. 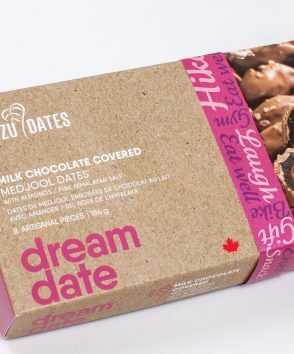 Medjool dates filled with Pistachios, Organic Almonds, Lemon, Lavender perfectly blended with raw Alberta honey and finished with a drizzle of Master Chocolat's organic white chocolate! 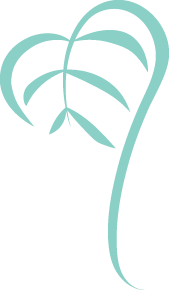 It was so fun to create - it will bring out the playfulness in everyone! With the rich flavour of cinnamon and cloves, this date is perfect by the fireplace with a Spiced Chai Tea, or a rich Cabernet Sauvignon. 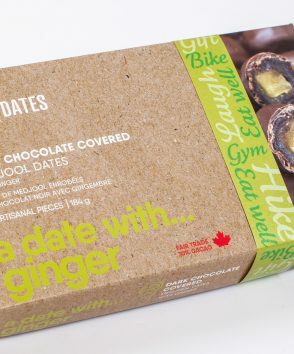 Together, it tastes like mulled wine. 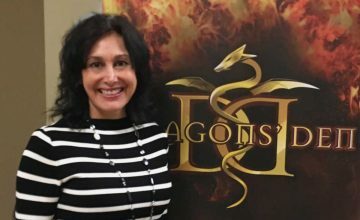 Love at First Bite – Asper grad’s entrepreneurial journey! 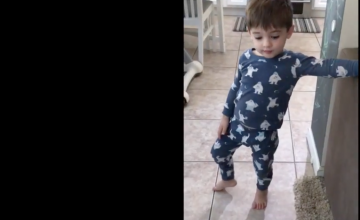 Carter's Quest for a Chocolate covered date!